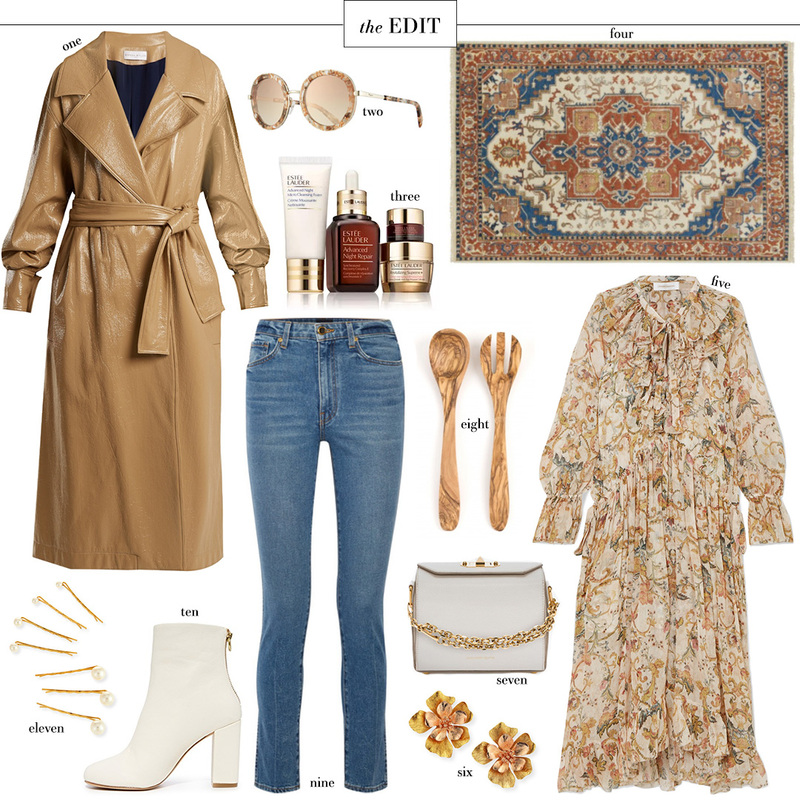 There’s something very 70’s about this week’s EDIT, and I’m now thinking it may have been inspired by the fashion and interior styles from the show I just finished: MINDHUNTER. Has anyone else watched it?! It is SO good. I’ve always been a big fan of true crime: TV shows, books, and more recently podcasts. I’m fascinated by it, but even more so by the minds behind it… which is why MINDHUNTER was so appealing. It’s basically about the start of the Behavioral Analysis Unit in the FBI and how they first began profiling serial killers and other dangerous criminals. It’s amazing! that trench. literally the only thing I need for 2018! Love #5! That dress is gorgeous! Love the white booties. Thinking of getting a pair. Just not sure if I will wear them. So I’ve been debating for weeks. Happy New Year Merritt! Love your style & the Television references. I watched Mindhunter after reading this post. Along similar lines, but fictional, you might try The Fall on Netflix with Gillian Anderson & Jamie Dornan. It’s equally gripping.